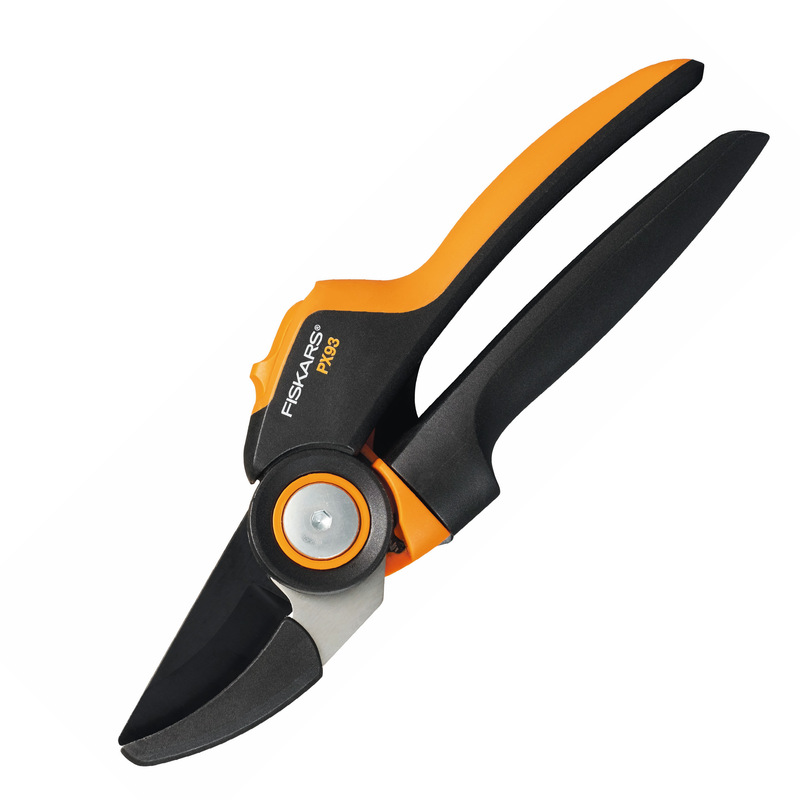 Fiskars PowerGear X Pruner L Bypass PX93 for cutting of fresh branches up to Ø20mm. Unique PowerGear™ mechanism makes cutting up to 3.5 times easier than standard mechanisms. Lightweight 230g design, durable FiberComp constuction and blades from extra hard, corrosion resistant steel (CrMoV) with PTFE coated upper blade for ultimate performance. Conformed SoftGrip™ handles for optimum comfort, grip and balance, optimized for medium and large hand sizes.